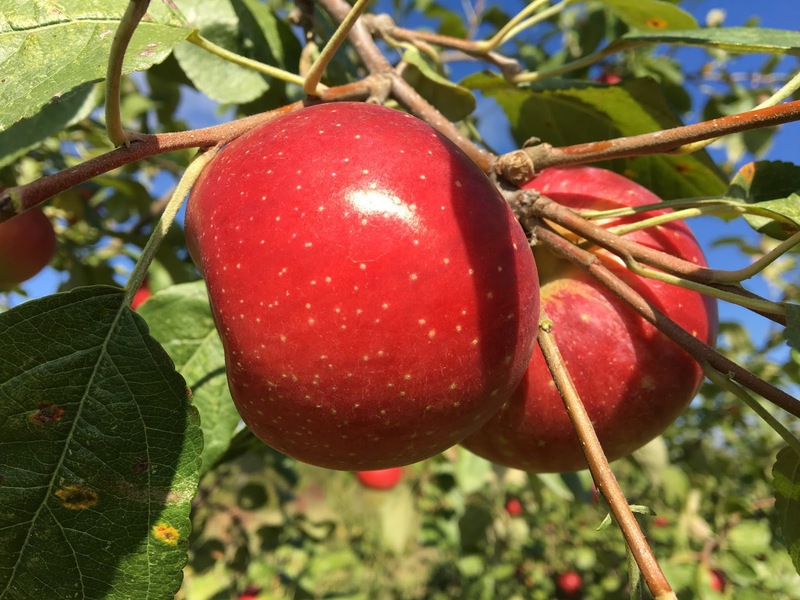 Demand for Zestar is catching up fast to Honeycrisp. It has many of the same atttributes as Honeycrisp, but ripens about 2 weeks earlier, around Labor Day. Zestars are a little less crisp and slightly less juicy than Honeycrisp, and also make an excellent eating apple. These "baby apples" are incredibly sweet and delicious when ripe. They're about the size of a golf ball, and have a flavor all their own. Chestnut crabs are a favorite of our youngest customers...they are perfect for after-school snacks or to pack in school lunches. Supplies are limited, so you may want to contact the orchard to make sure we have them on hand. Developed at the University of Minnesota and specifically adapted to growing conditions in Minnesota, the Honeycrisp is our top seller. It's juiciness is unparalleled, and its sweetness unsurpassed. It is crunchy, crisp, and firm. Honeycrisp make excellent eating apples, but can also be used for pies or apple sauce. Fireside apples have long grown at Irish Mountain Orchard. We first planted them in the late 1980's and have continued to harvest them ever since. They are oftentimes our largest apple, being slightly larger than Honeycrisp, and are excellent for making apple pie. Many people enjoy eating them as well. They are much less juicy than Honey Crisp but are firm, sweet and crunchy. They have a slightly off-white flesh and are best eaten soon after cutting. 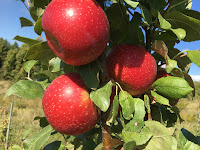 They ripen after Honeycrisp, typically mid October. A long time baking favorite, Haralson apples have also been produced at Irish Mountain Orchard since the late 1980's. They are tart to the taste, fairly soft, and are best enjoyed in baking, such as pies. Some people prefer their tart flavor for eating, however. Supplies are limited, so you may wish to contact the orchard to make sure we have them on hand for your visit! Update: Stella Minnesota apples are available this year! 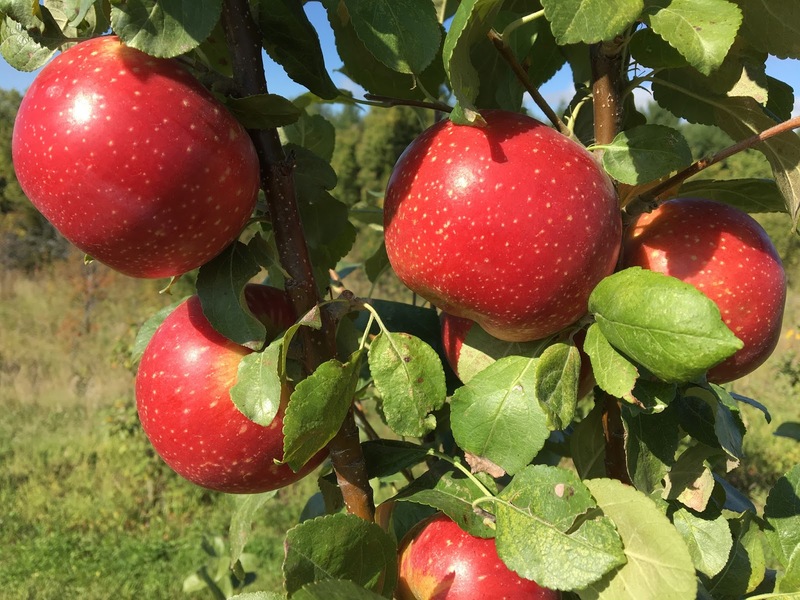 Recently developed by a nearby orchard, Stella Minnesota™ apples are a new addition to Irish Mountain Orchard. They tend to mature early in the season, and have been described as having a semi-sweet flavor and firm, white flesh. They are well suited for both eating and cooking/baking.